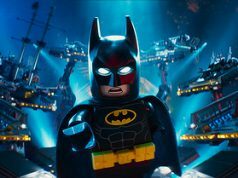 If you follow my Instagram page, you probably would have seen that I’ve recently received the summer 2017 wave of The LEGO Batman Movie sets. 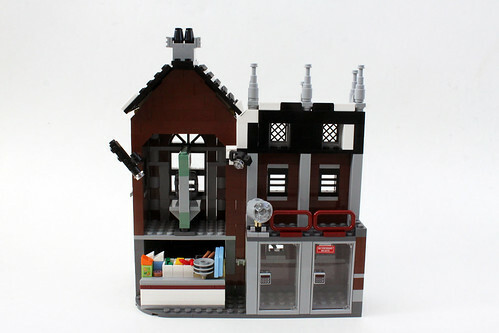 Due to my short vacation last week and also busy reviewing some of the recent LEGO Minecraft sets, there’s one last TLBM set from the initial wave to review, Arkham Asylum (70912). 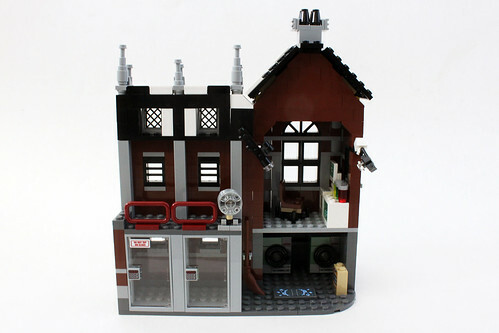 It consists of 1,628 pieces and goes for $149.99 which is a decent $0.09/piece especially for a licensed set. There are a whopping 12 minifigures in this set, Batman, Robin, Barbara Gordon, Aaron Cash, male GCPD Officer, female GCPD Officer, Dr. Harleen Quinzel, The Joker, Poison Ivy, Two-Face, Catwoman, and The Riddler. 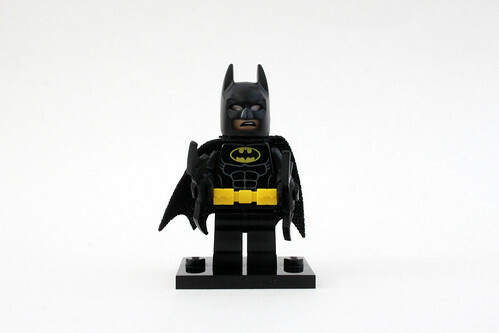 Batman is the same minifigure as in previous TLBM sets. His facial expressions include an angry look and a disgusted look. 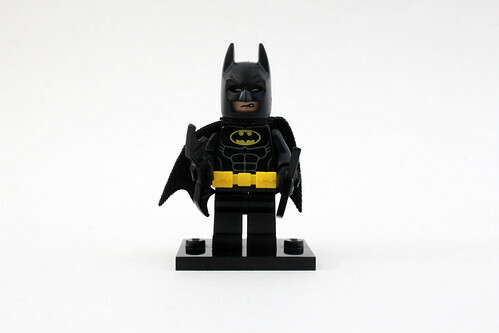 His accessories are a couple of Batarangs. 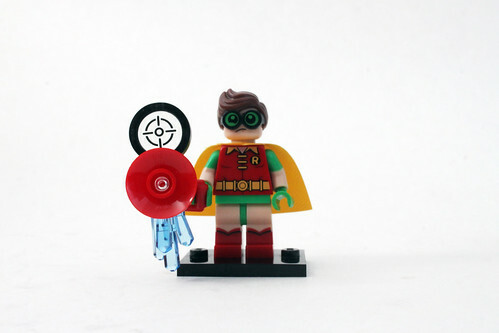 Robin has on the same red, green, and yellow outfit as in other sets however his head piece is exclusive to this set. For this version, he has a happy smile and a concerned look. 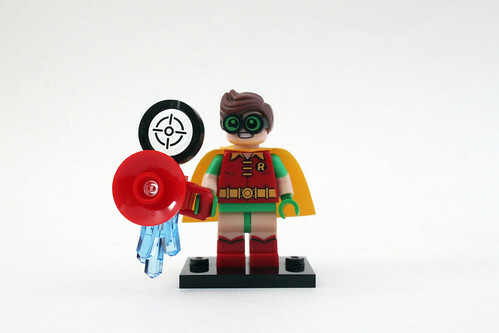 Robin’s accessory is the Phantom Zone Projector. 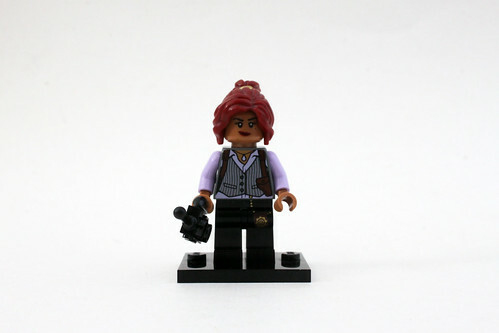 Barbara Gordon is in the outfit seen in most of the movie. She has a striped vest over a lavendar-colored blouse with some printing of the holster. The legs have printing of her badge. Her facial expressions include a smirk and an angry look. Her hairpiece is a new dark red ponytail bun style which is exclusive to her character and is only available one other set. Aaron Cash is an interesting addition and is a fairly unknown character unless you are familar with the Batman universe. He works as a security guard at Arkham and he wears a white outfit with printing of Arkham Asylum on the back. The most notable thing about him is the hook replacing the left hand as he was attacked by Killer Croc during a prison riot in the comics. He has angry expressions on both sides of his head. He also has the newer hairstyle piece. 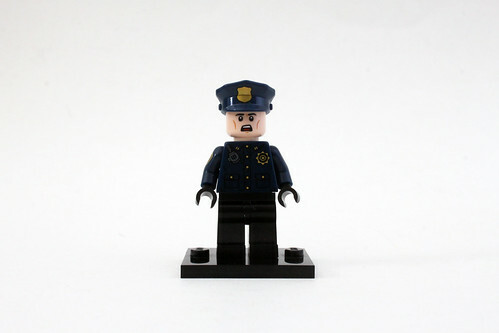 The male GCPD Officer wears a blue police outfit with the letters GCPD on the back of the torso. He has a single-sided head with a scared expression. 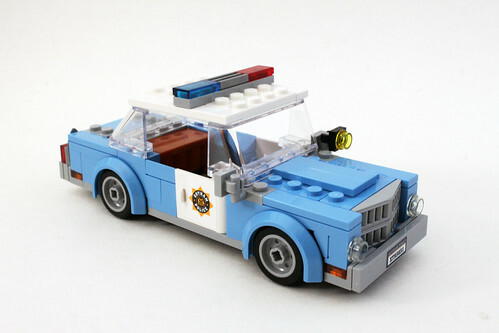 He also wears a blue police hat. 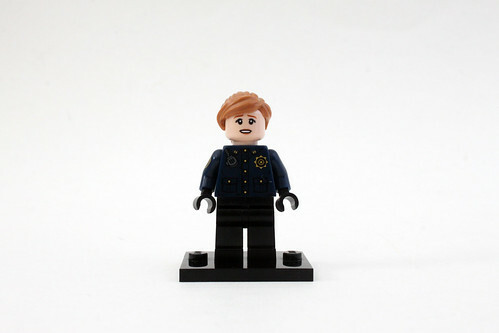 The female GCPD has the same torso and legs as the male counterpart. She, however, has a double-sided head with a determined expression on one side and a concerned expression on the other. Dr. Harleen Quinzel wears a white lab coat with some printing of her sweater and red scarf. The legs continue with the printing of the coat as well as her badge. She has a double-sided head with a happy smile on one side and a quizzical look on the other. 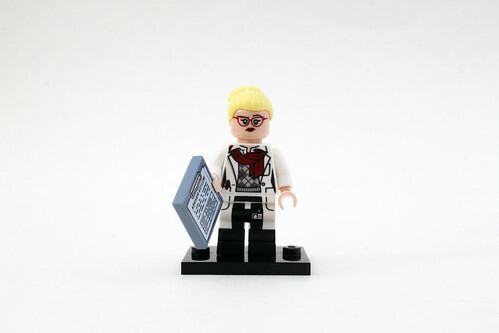 Her accessory is a printed 2×2 tile of a clipboard. 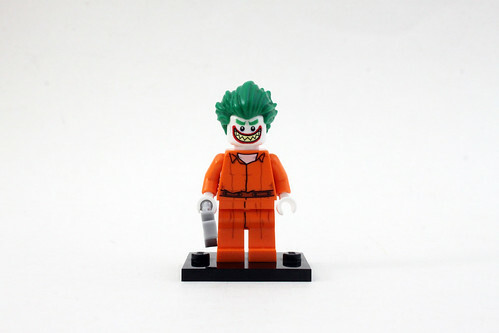 The Joker wears an orange prison jumpsuit with printing of Arkham on the back. His facial expressions include an evil smile and a very happy smile. His accessory is a pair of handcuffs. Poison Ivy has a similar outfit as The Joker but with some slight printing differences on the waist and the hands. 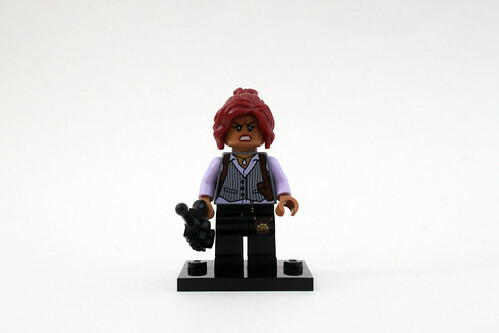 She has a double-sided head with a stern look and an open mouth expression. Her hairpiece is the new red mold with green leaves throughout. Two-Face is also in the orange jumpsuit. The more interesting features on him are his face and hair. Half of his face on both sides of the head shows his normal face and the scarred side. 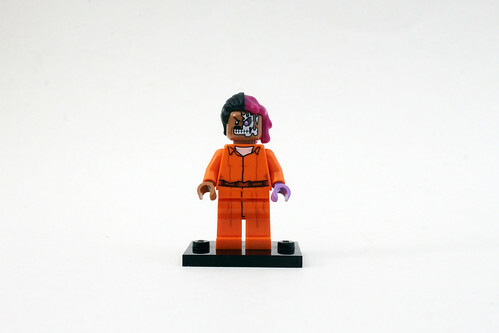 His hair is two colored with one side being black and the other being magenta. 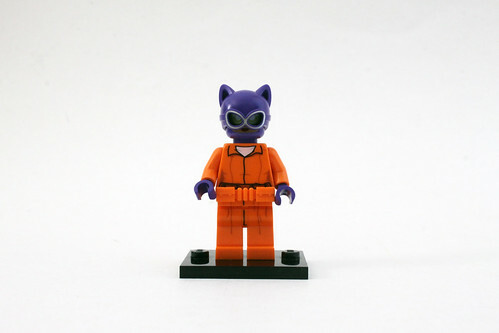 Also in the prison outfit is Catwoman who also has an orange utility belt as well. 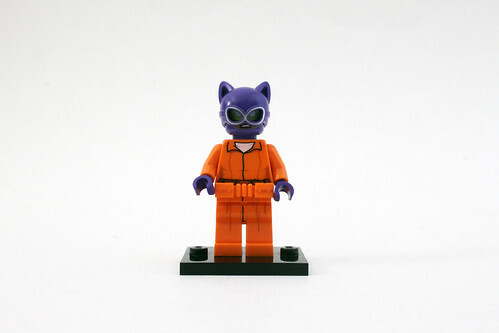 Her head and mask piece is the same one as in the Catwoman Catcycle Chase (70902). 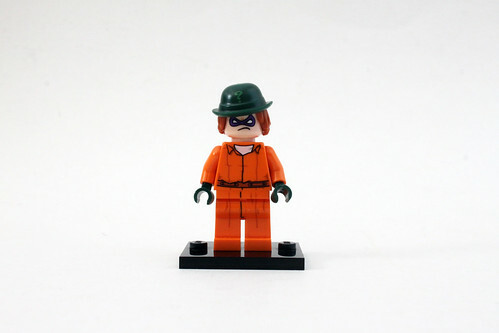 Finally, we have The Riddler who also wears the jumpsuit. 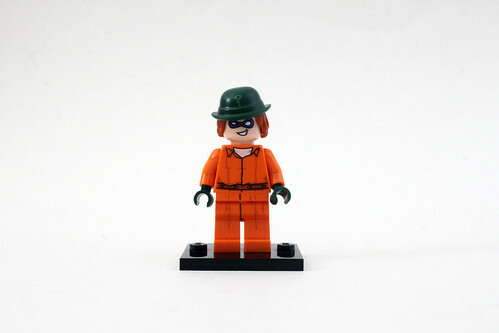 Like Catwoman, his head and hair/hat piece also appears in another set. 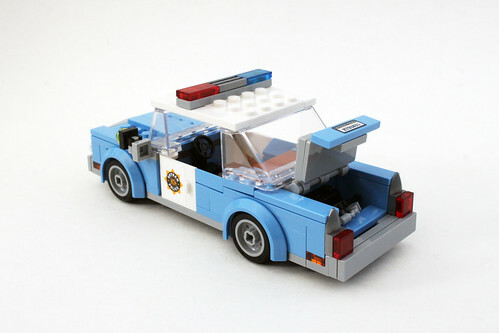 The first part of the build is the light blue police car. 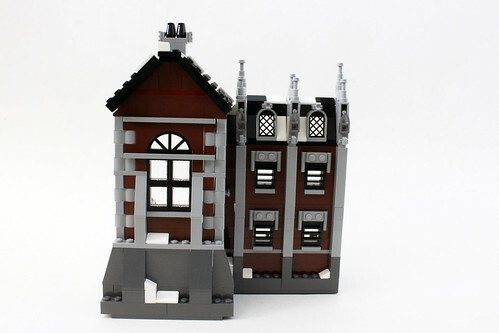 The proportions look good and it gives an old-school style. The doors have stickers for the Gotham Police badge and there are stickers for the license plates as well. 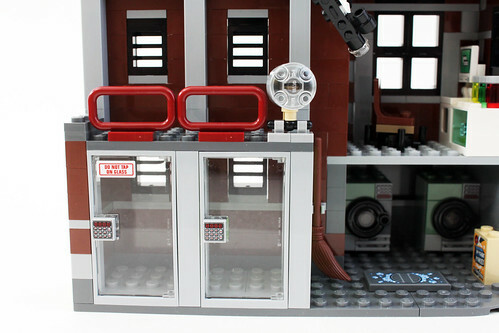 The trunk is able to open and the roof can be removed to put three minifigures inside. 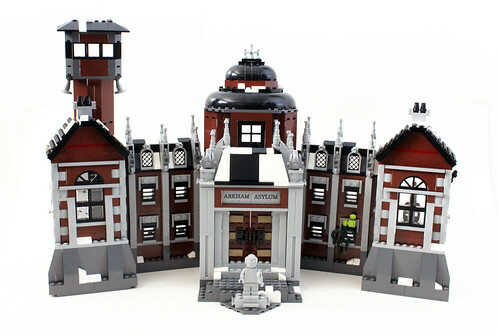 Arkham Asylum is separated into three sections. In the front of the building, there are some stickers prominently displaying the building sign. In front of the double doors, there’s a gray statue holding a snake. 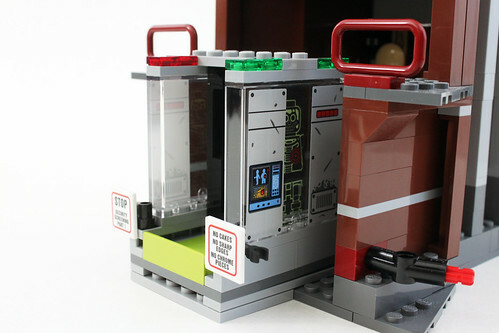 On the other side of the main building, there’s a security area with an x-ray body scanner which uses a lot of stickers. 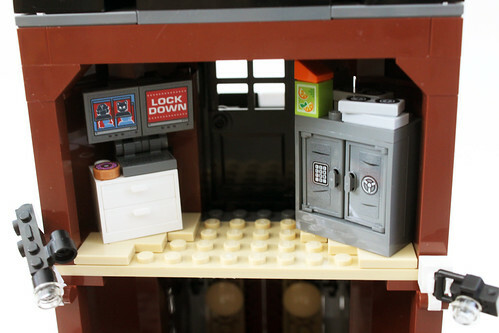 On the upper level, there’s an office filled with a computer on a desk and a a safe with some security tapes. 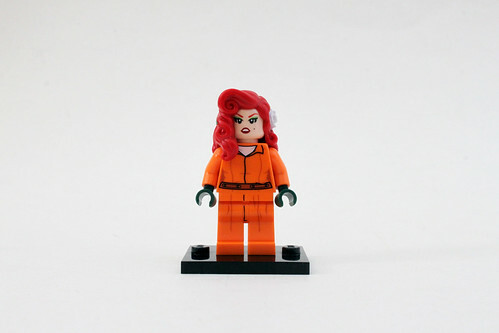 On one wing of Arkham, there are a couple of cells for Poison Ivy and The Riddler. 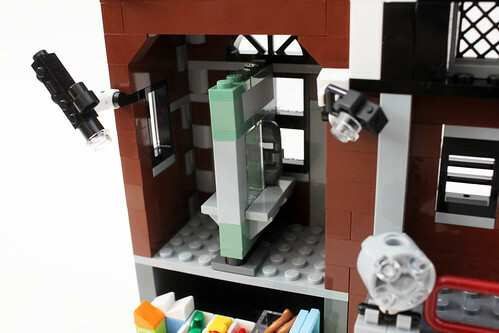 On the upper left side of this section, there’s a visitors’ room with a glass window separating the two sides and a phone for each side. 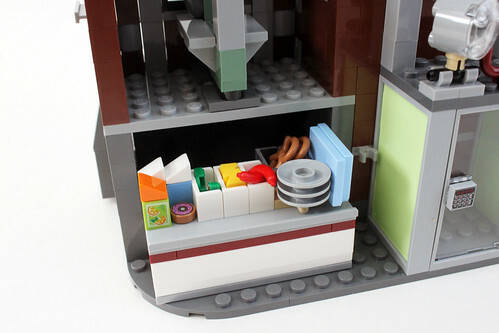 Below that is the canteen where there is a table filled with trays and plates along with a variety of foodssuch as sausages, pretzels, donut, cheese, watermelon, juice and milk cartons. 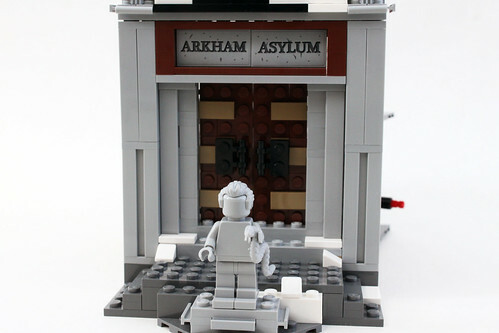 The other wing of Arkham has prison cells similar to the other wing for The Joker and Two-Face. 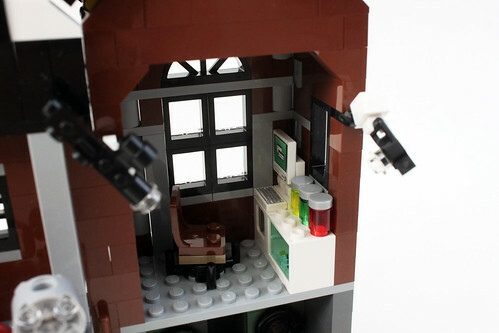 The upper-right part of the section is Dr. Harleen Quinzel’s office which has a desk and computer. 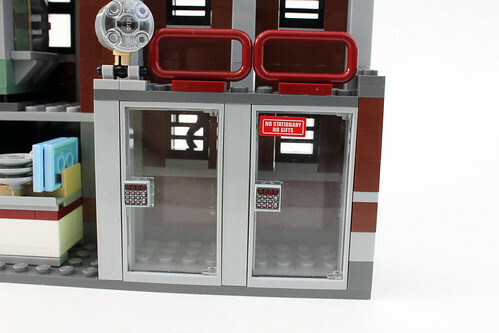 The cabinet holds some syringes with some jars on top. 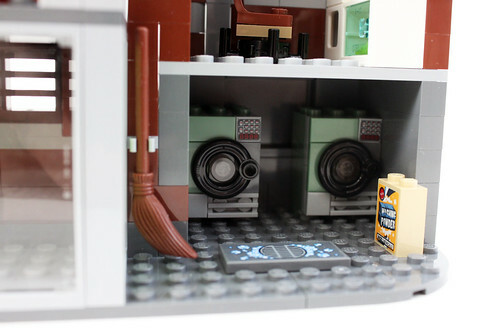 Below the office is a laundry room with two washing machines. There’s a large box of detergent that is stickered as well as the drain. 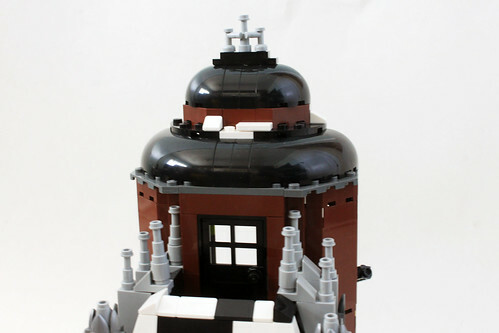 The last part of the build is the five-story guard lookout tower. The front side is fairly bland but there are some stickered computer screens and loudspeakers. 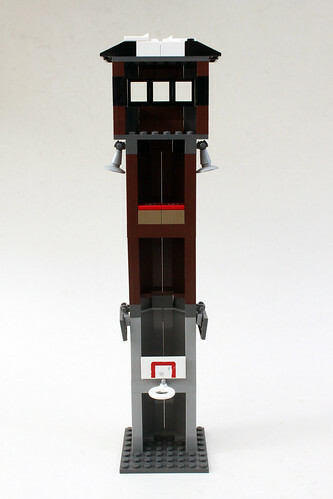 The backside of the tower has basketball hoop on the lower level and some TNT explosives in the upper level. 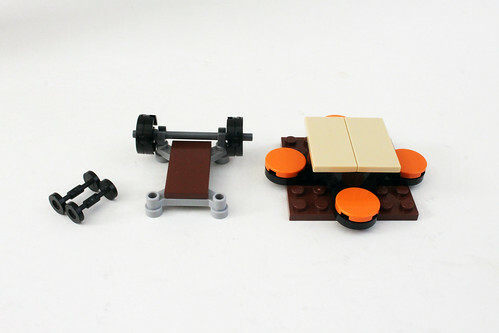 Lastly, there are some weight training equipment such as a bench press and some dumbbells. 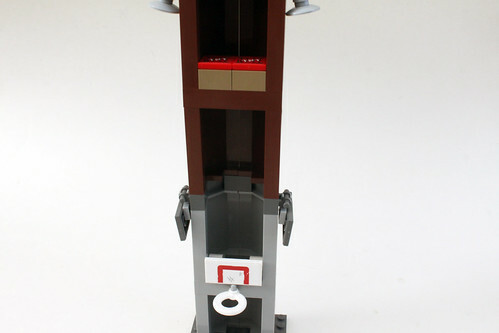 There’s also a table for some minifigures to sit on. 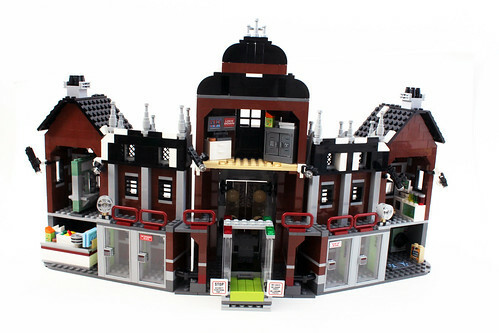 The LEGO Batman Arkham Asylum (70912) is a pretty cool set with a lot of playability to it. 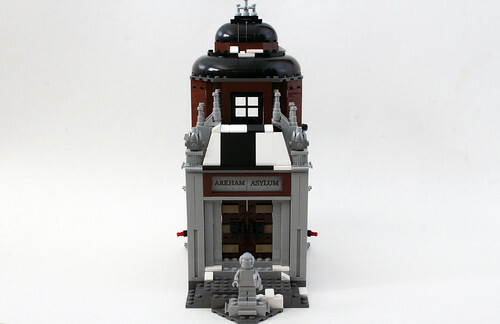 The design of it is a upgrade to the Batman: Arkham Asylum Breakout (10937) from 2012. 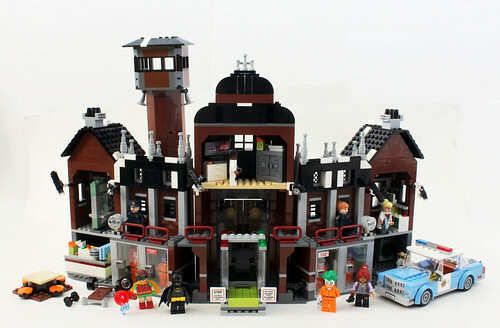 The different areas of Arkham seems for substantial from the previous Arkham such as each villain having their own cell. 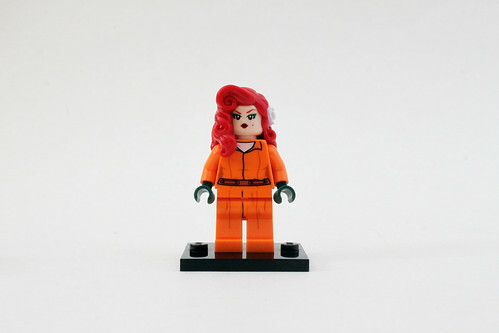 The variety and sheer number of minfigures included with this set is great but redundancy and similarity of prison outfits drops it down a notch. 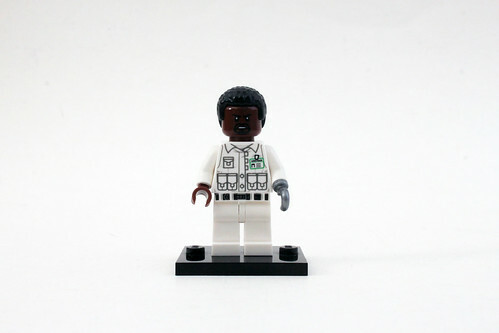 I do like that Aaron Cash was included even though he isn’t as well known as the other characters in this set. 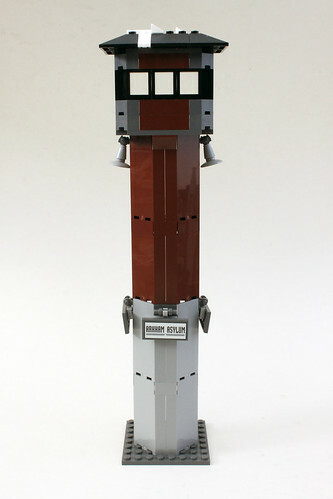 One thing I didn’t like is the guard tower because it’s pretty flimsy. One accidental touch could topple it over due to the simple construction using the wall pieces.